Maribel González is Professor at Pompeu Fabra University. 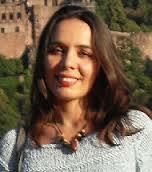 She holds two BAs in Law and Political Sciences from the University of Salamanca, where she also earned a PhD in Law. González was a post-doctoral fellow at the Max Planck Institute for Comparative Public Law and International Law (2004/2006). She has completed several research stays at the Max Planck Institute (2007/2008/2011/2012), at the Deutsche Verwaltungshochschule (2007), the University of Bristol (2010-2013), at Maastricht University (2012) and at the University of Bergamo (2014). In 2012 she was awarded with the IV Josep Maria Vilaseca Award.